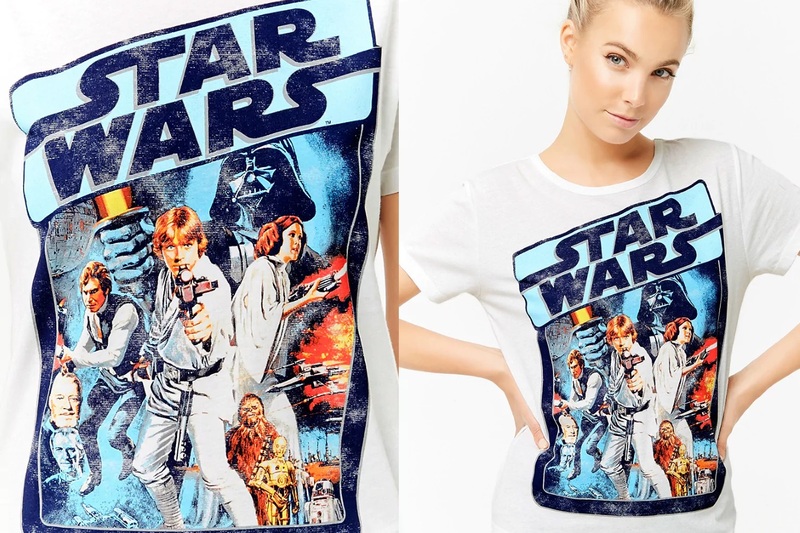 This women’s Star Wars pyjama t-shirt is now available at Forever 21. 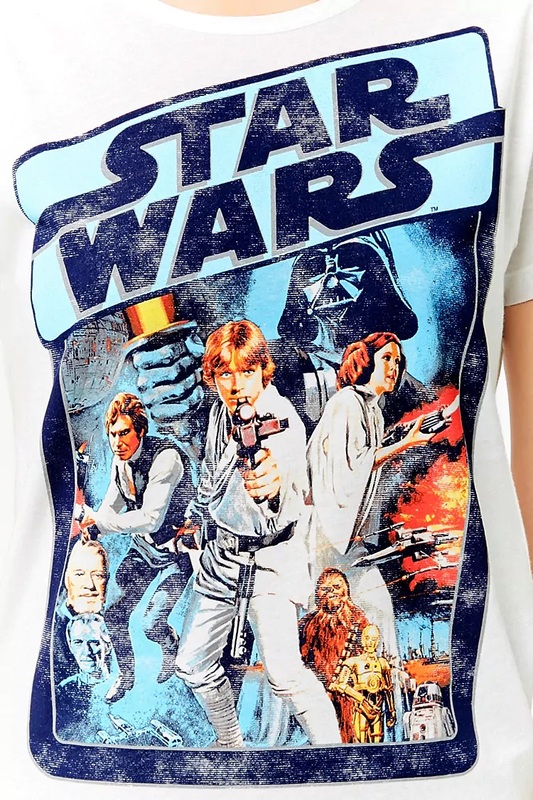 Made from 60% cotton, 40% polyester, the white t-shirt features a front print of the classic A New Hope poster artwork by Tom Chantrell. 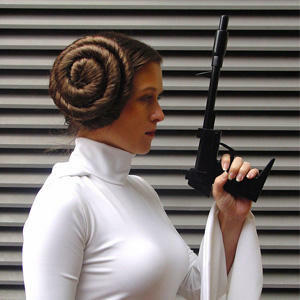 A knit pajama top featuring a round neckline, short sleeves, and a front “Star Wars” and accompanying character graphics. Available in sizes S to L, the pyjama t-shirt is priced at US$14.90 each – Forever 21 can ship internationally, which is great.